Despite its 25,054 signatures, the recipients of this petition have not acted on it in nearly 2 years. Apparently, corruption at publicly financed agencies and by public officials is exempt from the law. The opinions and concerns of their constituents cannot compete with politicians' and public servants' personal agenda. I thank every single one of you that took the time to support and express your concerns on this petition. Sadly, your voices did not resonate with people that won't hear them. NYC's homeless animals remain cash cows for the corrupt and continue to be their victims because they just don't equate with the personal agenda of those that victimize them. Maybe change will come in time to save some, but to those that fell victim to corruption as this petition languished in limbo, I apologize for not achieving my goal to save your lives. To those that ignored the problems expressed in this petition I yield to the judgment of a higher power than you. New York City Animal Care & Control shelters, operated and funded by the public and controlled under the auspices of the NYC Department of Health since 1995 and managed by Animal Care & Control Administration have been operating in defiance of every conceivable recognized humane welfare ethic and public law for far too long. 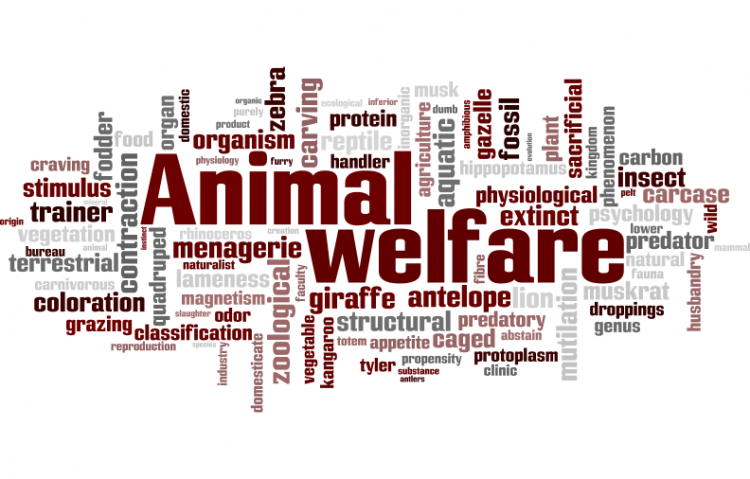 The breadth and scope of these animal welfare violations and violations of law literally boggle the mind and defy all rationality. The public trust is being violated regularly behind a veil of secrecy. Animals brought into NYC shelters are subjected to an ever-present epidemic of kennel cough which is used as an excuse to murder dogs as young as 7 months old. Dogs brought into NYC shelters healthy are sick within 4-6 days of incarceration and killed often one day after beginning treatment for kennel cough. Cats are mishandled, abused and left to suffer and die from injuries and/or killed. Mother cats are aborted of kittens and then killed, leaving day-old babies to die of starvation in their cages. Time constraints to find these animals homes can be as limited as one day, 5 days or can last for months, depending upon veiled decisions made by AC&C Administration, without rhyme, reason or explanation, but in most cases death is the result. Conditions in NYC shelters can best be described as chaotic, unsanitary and overcrowded on a regular basis. Yet NY City Council, the DOH and the AC&C have reneged on building two new shelters in two unrepresented boroughs in the Bronx and Queens promised and funded in 2011. AC&C Administration denies that it is killing for space, but when 330 dogs and 102 cats are murdered within 41 days, clearly, this belies AC&C claims. On average, NYC shelters kill 2,400-3,000 dogs and as many if not more cats every year which would be a lot more if not for the fact that NYC rescues and adopters save thousands. These animals are generally younger than 3 years old and highly adoptable, until AC&C finds an excuse to murder them. Shelter workers and volunteers are bound by gag orders that violate First Amendment rights and it is apparent that they would not be asked to sign such gag orders if there were not things going on in NYC shelters the DOH and AC&C Administration does not want the public to know. The concept of the word "euthanasia" - defined as "the merciful killing of sick or injured animals beyond redemption" - is regularly defiled when dogs as young as 7 months old and kittens days' old are murdered, not because they're irredeemable or as a mercy, but for expedience. To add insult to injury, prejudice is being used to eradicate a dog breed - Pit Bulls - that die in record numbers every day and which are condemned to death in shelters through a prejudicial public housing ban on dogs over 25 lbs. which conveniently targets Pit Bulls. As there is no Breed Specific Legislation in NYC, this is outright prejudice and persecution and yet another violation of not just animal welfare laws but public law. NYC, with the culpability of the Bloomberg, Administration, the Department of Health, AC&C Administration and NY City Council have been operating horrific animal shelters best described as slaughterhouses with full knowledge of an epidemic of disease and utilizing premeditated murder as a means to control a homeless animal population, aiding and abetting each other, they conceal the realities of shelter operations and violate shelter guidelines and humane laws regularly. We demand that the current Executive Director of the AC&C, Risa Weinstock, be terminated immediately for lying to the public on the record at a public forum, for telling a concerned NYC citizen that animals are killed "Because they get sick. They get very sick," when she is (or should be) well aware that animals are being made sick in NYC shelters on her watch. We demand the removal of the NYC Department of Health as overseer of shelter operations and financial manager of NYC shelter budgets for its failure to control an ongoing epidemic for years. Furthermore, after operating for 3 years without a Chief Veterinarian, on January 11, 2014, the AC&C announced the appointment of Dr. Lisa Hara Levin for that position. Dr. Levin's resume includes extensive experience working with research laboratories and vivisectionists, but not in shelter veterinary medicine. We find this to be a very curious choice for the position of Chief Operating Vet for NYC shelters. We would like to know why this choice was made without consulting the public that finances NYC shelters and if it was made with the consent of Mayor Bill de Blasio. Finally, the people of New York City that fund and rely on these shelters want the veil pulled back on NYC shelter operations. We request a long overdue investigation into shelter operations and conditions and we want to know what becomes of the remains of the murdered animals. We demand a restructuring of NYC shelters as true no-kill shelters immediately, the removal of the Department of Health as overseer of the shelters and the removal of the current Animal Care & Control Executive Director, Risa Weinstock and her assistant, Richard Gentiles, the people who make arbitrary life-and-death decisions with willful disregard for public opinion. NYC taxpayers are being deceived by shelter management and our intelligence is being disparaged by outright lies. As taxpaying citizens and as a society we owe no less to the innocent victims of NYC shelters and as decent people of conscience we seek to have NYC shelters become no-kill now, not after one million animals are senselessly murdered. Attached is the links to a recent "kill list" and the "Gone" or "Destroyed" folders for a 28-day period showing 153 dogs killed in a 28-day period. Ninety-eight percent of these dogs were murdered for kennel cough and this is apparent on their blogs. IT'S TIME TO PUT A STOP TO THE CONSPIRACY OF MURDER IN NEW YORK CITY. AS A SOCIETY THIS IS OUR DUTY. FOR THE ANIMALS IT IS LIFE OR DEATH. THIS PETITION IS CO-SPONSORED BY LORRAINE A. CRIMANDO AND EMMA THORNTON. We ask that you sign and circulate this petition right away. NYC is literally getting away with murder. We deserve answers and we need them to stem the tide of slaughter. It's time to pull back the veil of secrecy the Mayor, Department of Health and Animal Care & Control Administration hides behind and to force NY City Council to take action now, not later. The Investigate New York City Animal Shelters In Violation of Humane Laws and the Public Trust petition to ERIC T. SCHNEIDERMAN, NYS ATTORNEY GENERAL, GOVERNOR ANDREW M. CUOMO AND NYC MAYOR, BILL DE BLASIO was written by LORRAINE A. CRIMANDO and is in the category Animal Welfare at GoPetition.